Chinese smartphone maker Xiaomi recently launched its Redmi Note 7 smartphone in China. The smartphone comes with a 48MP rear camera with Sony sensor and is backed by 4,000mAh battery. Rumours are rife that the smartphone may soon launch in India. Country head Manu Kumar Jain has been dropping hints as well, and recently the India colour options and RAM + storage models were also leaked. The Redmi Note 7 is touted to be a highly durable phone, and the CEO Liu Weibing has been indulging in various quirky tests to prove it. He has posted videos of him using the Redmi Note 7 as a chopping board, asked employees to jump on the phone to show off its tough exterior, and has even thrown it down a flight of stairs. The phone features 2.5D glass protection up front and at the back. The smartphone is the first to launch after the Redmi sub-brand announcement by Xiaomi. It will focus on budget devices with competing specifications and will be available online-only. The Redmi Note 7 key highlights include a 48-megapixel rear sensor, a 4,000mAh battery, Snapdragon 660 processor, and 13-megapixel selfie sensor support. 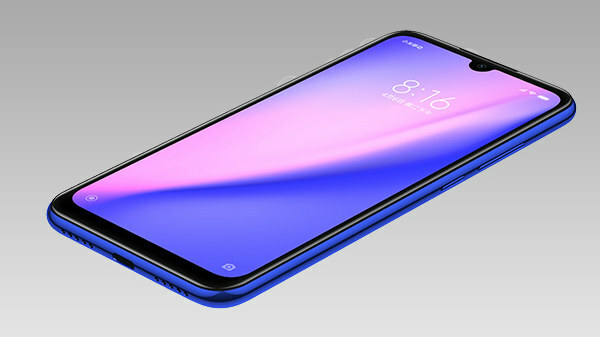 Xiaomi Redmi Note 7 features a 6.3-inch full-HD+ (1080×2340 pixels) 2.5D curved glass display with 19.5:9 aspect ratio, 450 nits brightness, 84 percent NTSC colour gamut. The display of the Redmi Note 7 is protected with Corning Gorilla Glass 5.The key attraction of the device is its magnificent cameras as it enhances your photography and videography experience. The device is capable of delivering a flawless performance while running multiple tasks. Overall, the device is one of the best options to go for around this price range. The Xiaomi Redmi Note 7 features a 6.3-inch IPS LCD display which exhibits a screen resolution 1,080 x 2,340 pixels. It has an aspect ratio of 19.5:9 and it comes with a pixel density of 409PPI. Under the hood, there is two Kryo 260 quad-core processor with 2.2GHz and 1.8GHz clock speed. The processors are seated on a Qualcomm Snapdragon 660 MSM8956 chipset. The processors are further coupled with a 3GB RAM along with an Adreno 512 GPU that can handle the multitasking or the gaming of the device.